This is such a great summer salad with fresh strawberries mixed in! 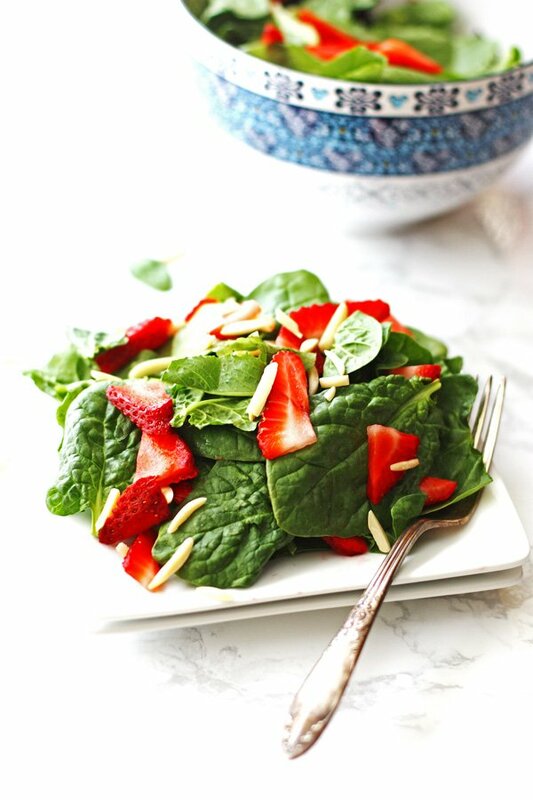 The combination of the spinach, strawberries, almonds and homemade dressing makes an amazing flavor. A friend of ours makes this and we had to ask for the recipe to make it ourselves…so we could have it again and again! This is one of our favorite summertime salads to make. Fresh from the farm strawberries are so good. I just wish the strawberry season was a more than just a couple of weeks. We have such long winters here, we look forward to fresh strawberries months before it is strawberry season! The dressing is easy to prepare and you probably have most of the ingredients in your kitchen already. In a medium sized bowl, whisk together the sesame seeds, poppy seeds, sugar, olive oil, vinegar, paprika and onion. Cover tightly and chill for one hour. 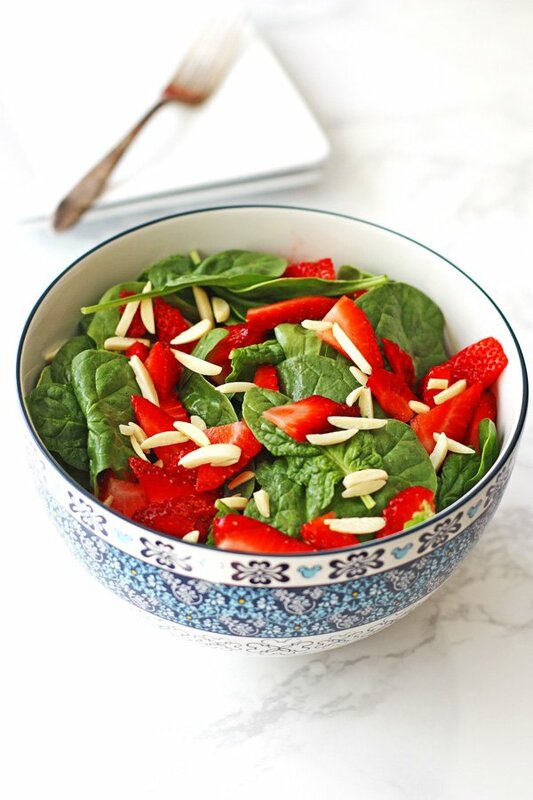 When the dressing is just about ready, combine the spinach, strawberries and almonds in a large bowl. When you are ready to serve the salad, pour the dressing over the salad and toss. I would suggest pouring the dressing not on the entire salad, but on individual servings. This way if there is any leftover salad it won’t get soggy. The remaining dressing should be refrigerated and can be used up to a 7 days. 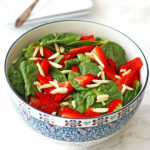 A green salad mixed with fresh strawberries, slivered almonds and a homemade dressing. In a medium bowl, whisk together the sesame seeds, poppy seeds, sugar, olive oil, vinegar, paprika and onion. In a large bowl, combine the spinach, strawberries and almonds. Pour the dressing over the salad when serving and toss.